As we enter the New Year a commonality is a new year’s resolution. Typically, the choice is weight loss or other fitness goals. At Devine Chiropractic, we want you to be successful in reaching your goals and to not feel discouraged by aches and pains that you may be experiencing through your fitness journey. Thus, let’s talk about the importance of RECOVERY from exercise training – and how it can fit into your lifestyle. The first step of learning how to recover properly is acknowledging where your starting point is. Are you a beginner? Are you an intermittent gym-goer? Or, are you an athlete? Your starting point is crucial in your fitness habits. Achieving your goal takes time, patience, and consistency. By incrementally increasing the amount of gym sessions, minutes on the treadmill, or amount of weight you’re lifting weekly instead of daily, this can help you understand how to recovery properly from your exercise training. If you are a beginner, recovery may be a new concept to you. We are here to help. Recovery can be separated into three categories: Before exercise, during, and after. Prior to exercise try focusing on energy consumption – aka food intake. Research has shown that you should be eating high glycemic foods about 1-2 hours prior to exercise. This helps with performance and sustainability. Be sure to warm up prior to your work out. This can include walking for 10 minutes, starting with a lighter weight or going through the motions of your exercise routine so you can connect your mind and body. Also, stay hydrated! Start your day off with 8 ounces of water before breakfast. During your exercise you want to also keep up with hydration. Bring a water bottle with you to the gym and sip on an ounce or two of water between each exercise. If you are feeling low on energy during your work out this could be a sign of your energy store being depleted. A good way to avoid cramping later would be to bring a small snack that is easily absorbed. Avoid protein intake during your work out – this can cause a decrease in gastric emptying, stomach cramps, and it can delay the absorption of nutrients after your work out. After your exercise routine, it’s a great idea to incorporate a cooling down phase. Your heart is working hard getting your blood and nutrients to your muscles and burning off calories. By letting your body cool down, your breath regulates and you can allow the proper flow of oxygen to your cells. Research has also shown reduction of delayed muscle onset (DOMS) with the consumption of amino acids (protein). The optimal time to consume these amino acids is within the first 30 minutes post work out. At least 10g is recommended 30 minutes after – and then 2 hours post work out up to 15-25 grams of protein is recommended. Are you an athlete? Recovery may not be as new to you, but here are some extra tips to help with your fitness journey. Supplements – have you ever taken omega-3-fatty acids? Omega-3-fatty acids (such as flax seeds, chia seeds, salmon) are known to improve endurance performance; they help promote anti-oxidant/anti-inflammatory responses, and effectively help with delayed onset muscle soreness. Remember your basics. You are at an elite performance, but the basics suggested for a beginner still apply to your fitness routine. How can Devine Chiropractic help you on your recovery goals? Adjustments are a key player in performance recovery. EVERYTHING is connected in one way or another to your nervous system. The less interference in your body the more optimal it will function and promote beneficial effects in your recovery. Devine Chiropractic is also teaming up with Terrapin Events as their recovery booth for their local Portland races. 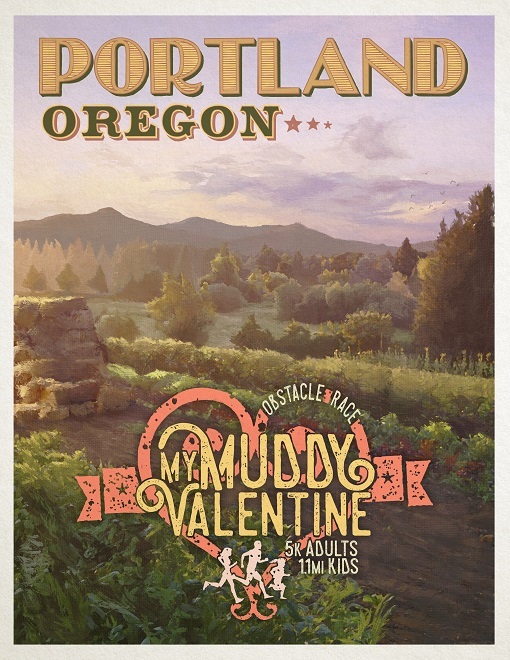 The first race this year will be February 9th 2019 for their Muddy Valentine Run!